In this newsletter we are going to do a year-end review of the events that made news in the energy markets and talk about what events are likely to move them in 2011. Shown below are price changes for key energy commodities in 2010. The newly operational Rockies Express Pipeline that stretches 1,679-miles from northwestern Colorado to eastern Ohio opened the door for Midwest and Eastern markets to an additional 1.8 billion cubic feet of natural gas per day. As expected, the pipeline reduces the disparity of regional prices. The U.S. Energy Department approves financial help for the construction of two nuclear reactors in Burke County, Georgia. This paves the way for the first new reactors to come online in the United States since Tennessee's 'Watts Bar' plant in 1996, and the first built since Louisiana's 'River Bend' plant in 1977. In continuation of a disturbing trend, Somali pirates hijacked a Saudi-owned tanker carrying two million barrels of crude oil. Somali pirates went on to capture 37 ships by November, and have been increasing fleet sizes and scope of action in the Indian Ocean. The UN stated that as the Somali Civil War continues, the violence employed by the pirates is likely to increase. Safety related construction begins on Vogtle nuclear units 3 and 4 in Burke County, Georgia. Estimated completion for units 3 and 4 are 2016 and 2017 respectively. US Nuclear Consortium identifies building sites for up to 30 more reactors throughout the country. DOE predicts that demand for electricity will increase 28 percent by 2035, providing a need for increased nuclear power generation. Hurricane Season begins with ominous forecasts for the number, severity, and path of these storms. Over the next four months we experience many scares with 20 named storms forming in the North Atlantic. Despite the number of storms, none of them makes contact with the U.S. mainland, making this one of the worst forecasts in many years. The leaking oil well in the Gulf of Mexico is finally capped after nearly three months. This catastrophe surpasses even the infamous Exxon Valdez oil spill of 1989. Estimates for how much oil was lost range from 4 million to 200 million gallons. Fortunately oil and natural gas prices fail to rise as severely as predicted. 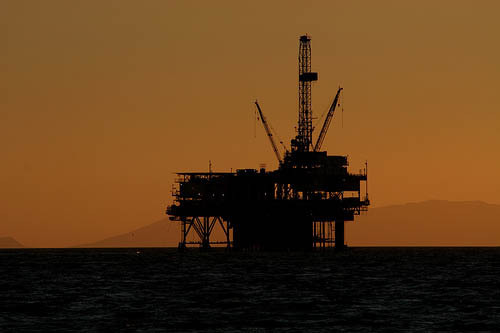 Attorney Generals of the Gulf states challenge the drilling moratorium on the grounds it does more harm than good to their already battered local economies. Natural gas productions from the Marcellus and Barnett shale formations (Appalachian Mountains and 17 counties in Texas, respectively) continue to astound market participants and drive gas prices lower. According to estimates from the Energy Information Agency, shale gas represented 16% of production in 2009 and will grow to 26% by 2035. Leaked emails reveal prominent scientists manipulated data to further a broader agenda tied to promoting the idea of global warming. This scandalous information suggests researchers presented false information and silenced any would-be critics of the suspect-science. Leading political and media proponents have gone silent for the time being as great doubt has been cast on the legitimacy of claims of man-made global warming. Voters made sweeping changes in the House and Senate replacing many incumbents. Now that Republicans control the house and John Boehner (R, OH) has become Speaker of the House we could see a change in energy policy, specifically the fate of subsidies for ethanol fuel and solar and wind power. The Department of Energy is currently implementing new methods of surveying and collecting energy data. These changes will lessen the uncertainty that comes with collected information. Then hopefully, with better data they will be able to make more accurate predictions of where the energy markets are likely to go. Presently the DOE is predicting higher expenditures for heating oil and propane, but lower expenditures for natural gas and electricity. In 2011 crude oil is predicted to average $83.50 per barrel. Higher crude oil prices as well as higher refiner margins are expected to push annual average prices for motor gasoline and diesel fuel to $3.00 and $3.23 per gallon, respectively. Reports show increased consumption of all petroleum products. However, current levels of inventory are at 10-20 year highs and offshore tankers are having to be used for temporary storage. This surplus may provide a cushion against price increase, even if the consumption rate does go up. Driven by a weak economy and forecasts for a La Nina weather pattern, it is predicted that more than 1800 Bcf of natural gaswill remain in underground storage at the end of the winter season (March 31, 2011). If that materializes, it would amount to 10% more stored gas than last year and 20% more than the 5-year average. Natural gas production is expected to be relatively flat in 2011 as aging vertical rigs approaching retirement are made up for by increased shale gas production.The U.S. Energy Information Agency is predicting an average Henry Hub spot price of $4.33 per MMBtu for 2011. Production of electricity is expected to increase slightly, partially from increased output from existing nuclear plants and hydroelectric power. The predicted increases in production are based on the assumption of more sales to the industrial sector. The EIA predicts that residential electricity prices (cents/Kwh) will only increase by 0.9% from last year. Every New Year brings change and surprises. This year will be no exception. The new Congress is likely to impact energy regulations and signs are a little more optimistic that this deep recession might be loosening its grip. Whatever 2011 brings for the energy markets, IEC will be vigilantly monitoring and stands ready to assist you with all your energy needs.